In the last half of the twelfth and the fore part of the thirteenth century the Papacy reached the high point of its power in Western Europe. Never before had its influence been so strong in so many aspects of the life of that region. Never again did it make its weight felt so potently in so many phases of the culture of that area. This apex of Papal might came as a climax to the religious revival which had captured the Holy See. It also paralleled the crest of the urge to attain the perfect Christian life which had expressed itself both through monasticism and in movements which the Church deemed heretical and which had culminated on the one hand in the emergence of the mendicant orders and on the other hand in the Albigensees and Waldensees. With it, too, were associated the growth of commerce and intellectual developments, including the rise of universities and the flowering of scholastic theology of which we are to speak in the next chapter. This coincidence of several movements seems to have been more than fortuitous. Precisely what was cause and what was effect we may not know, but that all were closely allied features of a particular stage in the hi.srory of Europe is certain. It seems also significant that the Papacy and the Holy Roman Empire reached a climax not far from the same time. The struggle between Pope and Emperor continued and in some respects was intensified. Both contestants were reinforced by the revival of scholarship and with it the study of law. The development of canon law attained a high point in the Decretum of Gratian, compiled about the middle of the twelfth century. Canon law, or the law of the Church, had its roots in the first century, but has been the product of a development which has been in progress from then until the present. Gratian's was by no means the first treatise on it. Many collections had been made, notably in the tenth and eleventh centuries. The decretum of Gratian was in part a compilation, but it was more. It embodied the considered opinions of the author. Since Gratian had his spiritual fellowship with one of the strictest groups of the revival of the Benedictine rule with its passion for the reform of the Church, it was natural that he should exalt the position of the Pope. He was a master of his subject, did his work at Bologna, the main centre of the awakening interest in both canon and civil law, and his magnum opus was long regarded as standard. On the other hand, the renewed study of Roman law, especially in the compilations made under Justinian which had been introduced to Bologna early in the twelfth century and which had spread to other centres, exalted the position of the Emperor. 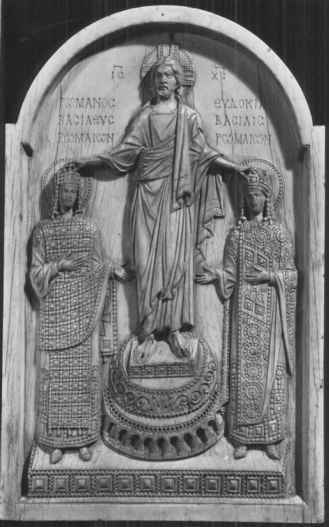 It was the Emperor as absolute monarch who was prominent in the Justinian code, and Justinian and the stronger among his Christian predecessors had often been dominant in ecclesiastical affairs. Civil lawyers, therefore, would tend to declare that any imperial edict, even in Church matters, should be obeyed. Italy was deeply divided by the struggle. Two parties, Guelphs and Ghibellines, were prominent in Italian politics and civil strife between them was chronic. The Guelphs upheld the independence of the Church as against the Emperor and also stood for the autonomy of Italian cities, since these had less to fear from the Pope than from the Emperor. The Ghibellines supported the authority of the Emperor. By the close of the thirteenth century both the Papacy and the Holy Roman Empire had passed the crest of their power. Neither was ever fully to recover the position which it had held in Western Europe. For the Empire the decline was to be permanent. Technically the Holy Roman Empire survived until early in the nineteenth century. The title of Emperor long added prestige to him who held it. Yet the time of its glory had passed. The efforts of the German monarchs who held it to make it effective south of the Alps was long to prevent the unification of Germany and Italy, After more than two centuries of decline, under new conditions the Papacy was to rise to a far wider geographic influence than at any earlier lime. Yet that influence was exerted in a fashion different rrom that which had been seen in its great era which followed the triumph of the eleventh and twelfth century reformers and never again was it to achieve a full recovery in Northwestern Europe. Even after the medieval Papacy and Empire had passed their peak, the contest between the two did not immediately cease. Indeed, as the authority of the Emperors waned, some of the most forceful and intellectually powerful treatises in its defense appeared. Thus early in the fourteenth century Dante Alighieri, the greatest poet of his age, wrote his Monarchia, in which he maintained that a universal monarchy is necessary for the peace and welfare of mankind, that this had been conferred upon the people of Rome, and that the Emperor held his authority directly from God and not through the Pope. While Dante declared that the Emperor must reverence the Pope, it is not surprising that the latter placed the Monarchia upon the index of forbidden books. In the opening years of the fourteenth century John of Paris, a Dominican wrote a treatise on the relationship between royal and Papal powers in which he placed restrictions on the latter but sought a balance between the two. Much more radical and devastating was the Defensor Pacis, completed in 1324 by Marsilius of Padua and John of Jandun. Marsllius (Marsiglio Mainardino), an Italian physician and for a brief time Rector of the University of Paris, was an ardent Ghibelline. John of Jandun, a Frenchman, was an outstanding teacher in the University of Paris. The Defensor Pacis attacked the claims of the Papacy to supremacy in state and Church. It had no use for the idea of a universal Christian empire. It held that there must be many states, each based upon the law inherent in nature, and that the Church should not have jurisdiction over them. The law for the several states was to be made by assemblies of all male adult citizens. The executive, which might be either one man or a council, was to be elected by the assembly and was to have authority over all other executive and judicial authorities. The Defensor Pacis maintained that since Christ did not claim temporal power but submitted himself and his property to the state and since, in accordance with his commands, the apostles did likewise, the clergy must hold to that example. It taught that the clergy must follow the way of absolute poverty, and that they and the Church must have no temporal authority. It came out sharply against the claims of the Papacy. It held that in the early Church there was no distinction between priests and bishops, and that all the bishops were equal and were all successors of the apostles. To obtain united action in the Church, the Defensor Pacis advocated the holding of general councils made up of priests and laymen elected by the voting assemblies of each of the states, assemblies which, as we have seen, were to be composed of all adult male citizens. Papal supremacy was attacked, with its emphasis upon the privileges of the clergy and its claim of suzerainty over the Holy Roman Empire. The canon law was denounced. It is not surprising that the Pope condemned the book even more emphatically than he did Dante's Monar-chia. The Defensor Pacis was quite impracticable, but it was not without effect. In the first half of the fourteenth century an earnest Franciscan, William of Ock-ham (Occam), whom we shall meet again as an outstanding theologian, advocated the independence of the state from the Church. He held as unnecessary Papal confirmation of the election of an Emperor or the investiture of an Emperor by a Pope. The Pope, he said, should be subject to the Emperor in secular matters. Ockham also insisted that the Papacy is not a necessary form of government for the Church. He declared that the Scriptures do not teach that Christ appointed Peter as the prince of the apostles. He held that not the Pope but only the Scriptures are infallible and that Popes may fall into error and be deposed. He taught that even the college of cardinals or a general council of the Church may err.